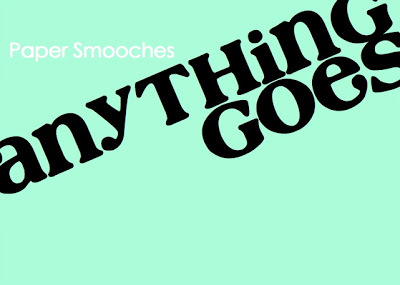 Turns out that when I refreshed the page on the Paper Smooches SPARKS challenge blog they had already posted the new challenge and it is an Anything Goes challenge. Silver lining! I kept going with my card (I would have done so anyway. lol), changed the design a little and have decided to enter it into the new challenge. Funny how things work out. Materials used: Stamps – Briny Blue, Debonair, My Guy, Surf & Turf (Paper Smooches), A Little Sentimental (Clearly Besotted); Cardstock – American Crafts; Distress Inks; Distress Markers; and Wink of Stella. Really quite happy with how the water turned out for this card. 🙂 Love the little highlights of glitter on the fish too. what a fabulous fish tank! so fun and clever! super card! 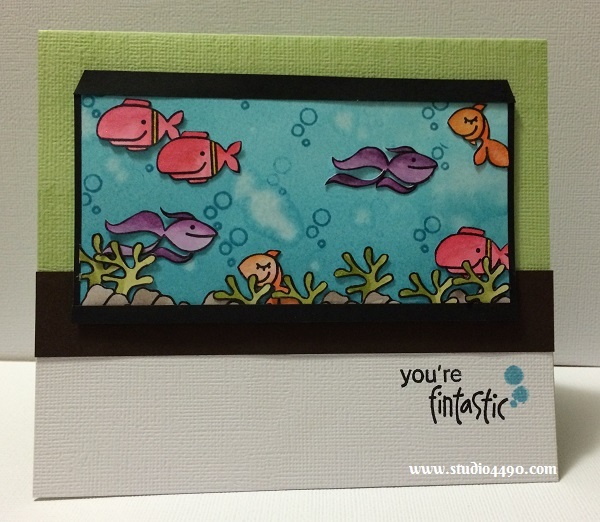 thanks for joining us this week at Paper Smooches SPARKS Challenge! ……THUD! Another jaw-dropping, awe-inspiring, breath-taken away card, Kylie! Honestly, this aquarium is ultra fabulous with the darling fish and the oh-so-realistic water! Those bubbles…I’m like a school girl giggling with how cute they are – and such simple touches like those have such a mega-impact! Isn’t it great that the Anything Goes landed in your lap; love it!! FIngers crossed that your talent is spotted, because you are DT material to the max! So adoring this card…. Wow…what a card! I love the look of the fish tank, so creative and fun. What a darling aquarium! Darn clever idea, Kylie!!! LOVE this. No…YOU’RE fintastic! The water turned out perfectly as did the little swimmers. Another great card. Hey, you need to check out Mama Elephant’s latest challenge too…it’s watercoloring. I think you nail it! Have a great week. Hugs. I was pretty pleased with how it came out, Bev! Thanks so much for the compliment and the heads up re Mama Elephant. I discovered, only yesterday, that they had challenges. Not sure I have any stamp sets which fit though…time to shop? lol Big hugs to you, dear friend!